These pressure sensors use a 4 wire input-output configuration and typically provide a full scale output of 50 mV for a 5 V input. These pressure sensors can be combined with our DI-1000 24-bit Digital Interface to get either USB or Wireless output directly on your PC using our SensorVUE software. 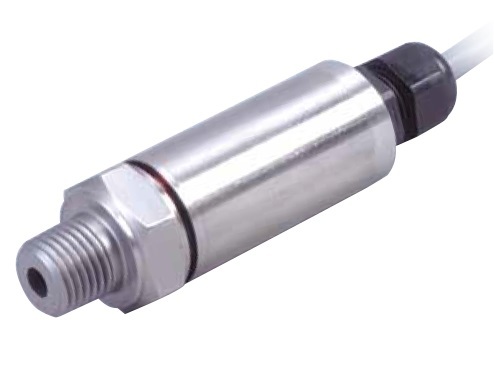 The pressure sensors are made by a partner and are supplied with a mV/V rating. When used with our DI-1000U, DI-1000ZP or DI-1000WiFi interfaces, we enter the mV/V values into the digital interfaces to provide a nominal reading. These sensors may need to be calibrated properly by a third party calibration house in order to get NIST/ISO conforming certificates. Our SensorVUE PC software allows you to mix and match different kinds of sensors and display, log and plot all of them within a single interface. At the present time it can handle force, pressure and pressure sensors as shown below. If you are looking to develop your own custom software application, our digital USB wired and wireless pressure sensor interfaces offer convenient ASCII commands to obtain pressure information directly from the sensors without need for any signal conditioning or data processing. With just a few commands you'll be able to incorporate pressure information into your application. You can use Visual Basic, Visual C++, Matlab, LABView or any other application development environment to create your custom applications with our pressure sensor interfaces. 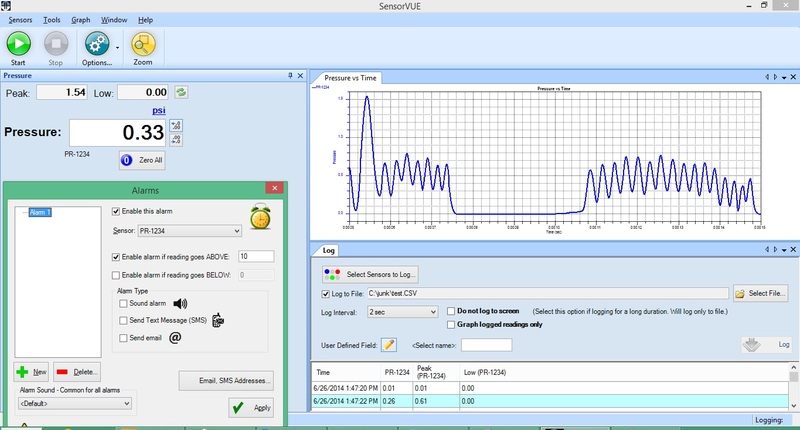 SensorVUE software can be used to interface with single or multiple load cells, displacement, pressure, torque and temperature sensors and also can be used to control external devices like USB relays.